No matter how I say this, someone will interpret incorrectly (ie. So I look bad). I wish my nest was empty again. I know, I’ve been so focused on other things this past year, I haven’t mentioned a topic that many of you began following me to read about. You know, life after your children leave. Perhaps I haven’t been able to post on the subject because I haven’t been experiencing it. Remember when I was sad about seeing my older son leave for college. Refresh your memory here. And then my younger son went to college and for some reason things started getting romantic around the house again. Yep, that post is here. My oldest son graduated from college. And moved back in with us. Rewind to June 2013. It’s a happy day. Our first born son completed four years of college and earned a Bachelor of Science in Computer Software Engineering. And proceeded to take the “summer off.” He flew to Vegas to visit a friend, traveled to Idaho to see he girlfriend and took multiple road trips to hang out with college buds. And the months passed. He applied for a few jobs. Interviewed for even fewer. Fast forward to January 2014 when he lands a job working for his dad’s former employer (a place he held a summer job several years ago). Hurray! February he purchases a $20,000 car. He’s paying $1000 per month on his student loans. When’s he going to move out? Shrug is the answer. After two years of marketing it, time comes when our house sells. “They sold the house out from under me.” Really? “I wasn’t invited to live in the new house.” True, but we would have allowed it. Still, isn’t a year of living rent-free (while being gainfully employed) enough time to build up a cushion so you can rent your own place? On April 3, we moved into our new home. It was me, hubs and the two cats. And all the piles of boxes. But, after a few weeks, things were mostly organized and in their proper places. The new office inspired words galore. Hubs traveled to China. It was the truly empty nest of silent bliss. Fast forward to May 2. Our youngest son graduates from college with a Bachelor of Business Marketing degree. 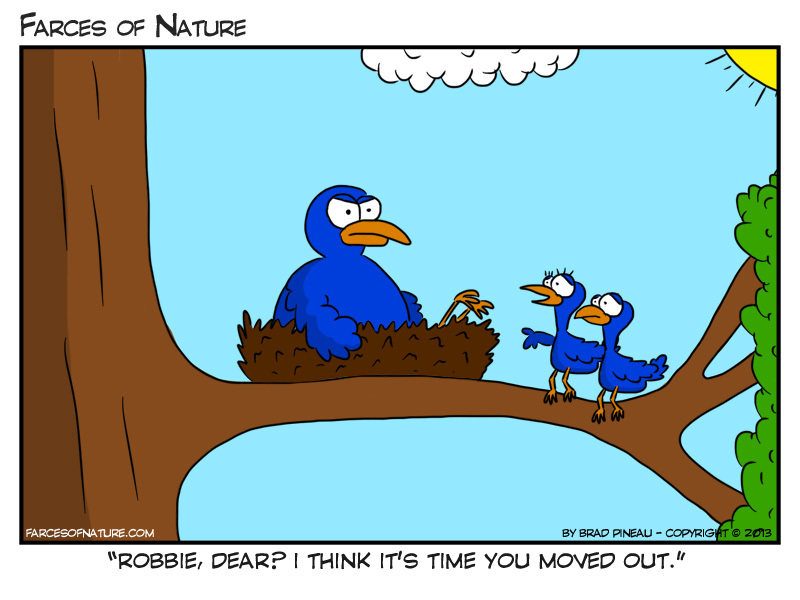 And moves in to the empty nest. Suddenly, having college graduates for children doesn’t look so lovely, does it? 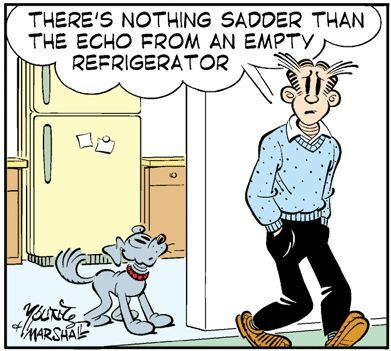 I mean, that’s the common thread in the return to the empty nest. Even if the youngest would have had a job, he wanted to live with us (“And get the same deal” his brother got). Sure. Free is the best price. He’s saving for a wedding, being married, and setting up an apartment. His reasoning is sound. Savvy even. But it means my nest is no longer empty. My house has been invaded by people who wonder what’s for dinner. People who mess up my perfectly decorated guest room. People who cook late night snacks and leave my kitchen looking worse than a plundering tornado would. And here we are. Do I love my son and his fiancé? Sure. But there are a few things I’m not too thrilled about. Funny thing – the cause complained about the same thing a few months ago. Come back next week to read more about Being the Thing you Despise in Others.